Heya people. As I am playing a game of apocalypse since yesterday and I haven’t been able to post a lot these days, I thought this would be the ultimate chance to show you guys what my Tyranid swarm looks like. So here you go. 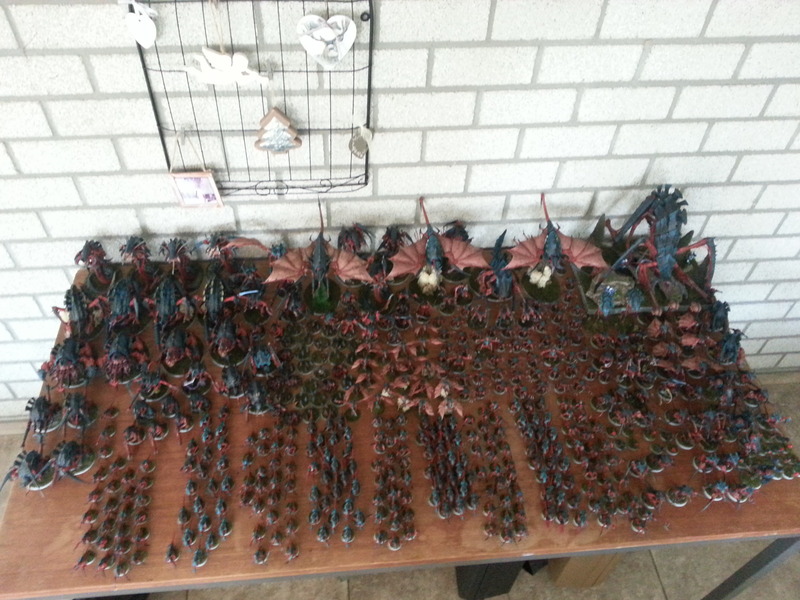 A picture of all my Tyranids collected throughout the last 2 years and a bit. Every single model is painted, based and ready to be set on the board.